Lesson 4. 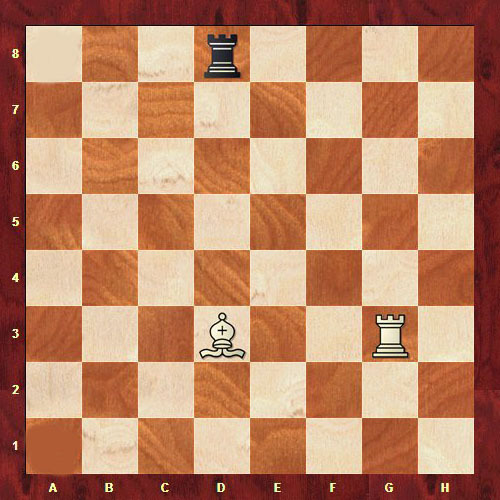 How to move pieces? Bishop. Rook. We continue to study how to move chess pieces. Bishop is a strong, far ranking piece. Bishop is roughly equivalent to knight. Its nominal value is also 3 points. However, they are hard to compare. It is believed that bishop is slightly stronger than knight. But a lot here depend on player nature and setup requirements on the board. Knight and bishop are considered "minor pieces" in chess. It sounds a little strange, you cannot call them minor in the real life:). But, as they were named so called. Bishop moves and captures only diagonally in any directions and for any distance as it is shown in the diagram. Bishop cannot jump over the pieces. Thus, if there are any other pieces on the bishop way its action is limited. 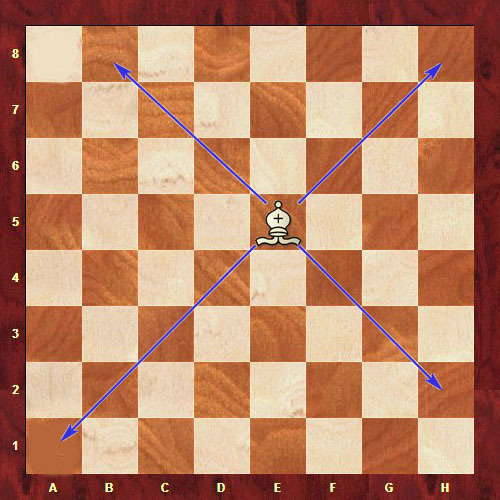 At the diagram below it is clearly shows how its own pieces limited bishop from three sides. There is black knight in the fourth side of bishop way. It is not either allowed to jump over, but it can capture it at least:) Your own pieces may not be captured, for sure. Rook on equal terms with queen, is considered the major piece. Its nominal value is 5 points. Rook is regarded as strong but straightforward and not very maneuverable piece. “This piece is in the war can be compared to the main gun. It shoots hard and far. 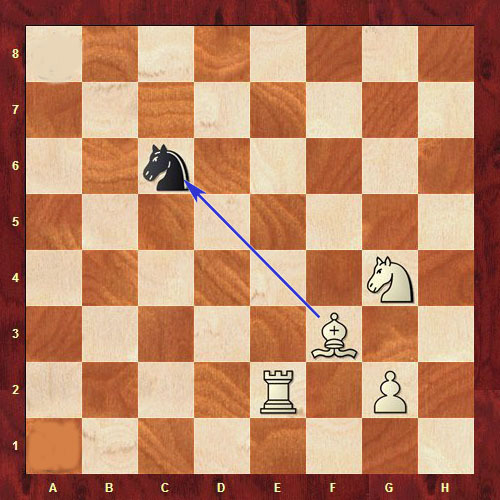 Due to its high nominal value it would have been better to take care of it and keep a little drawn, avoiding putting into in the thick of things,” such lyrical digression about the rook was made by one of the Italian chess teachers. So rook moves and captures straight for any distance and any directions (forward, backward, right and left). It cannot jump over the other pieces. 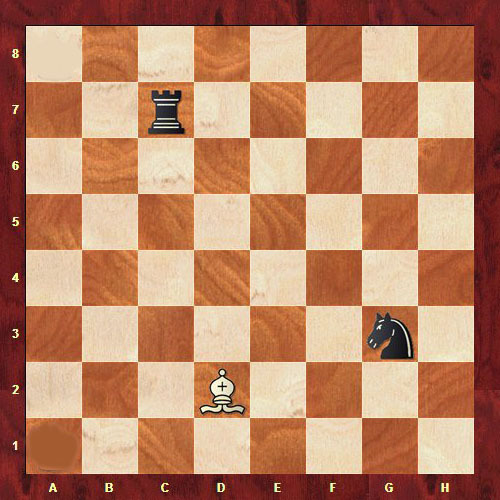 The same limitations indicated for bishop also applies to the rook. 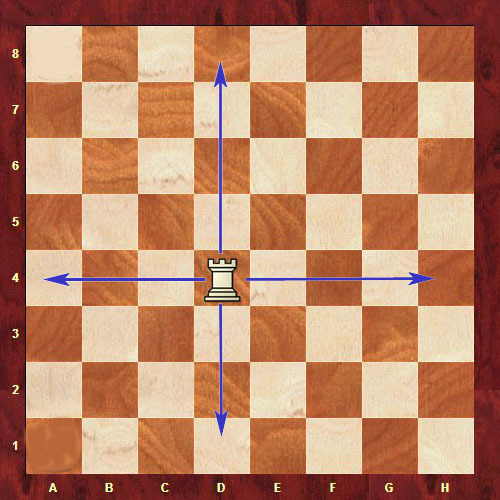 The most important pieces - queen и king will be seen in the next lesson.